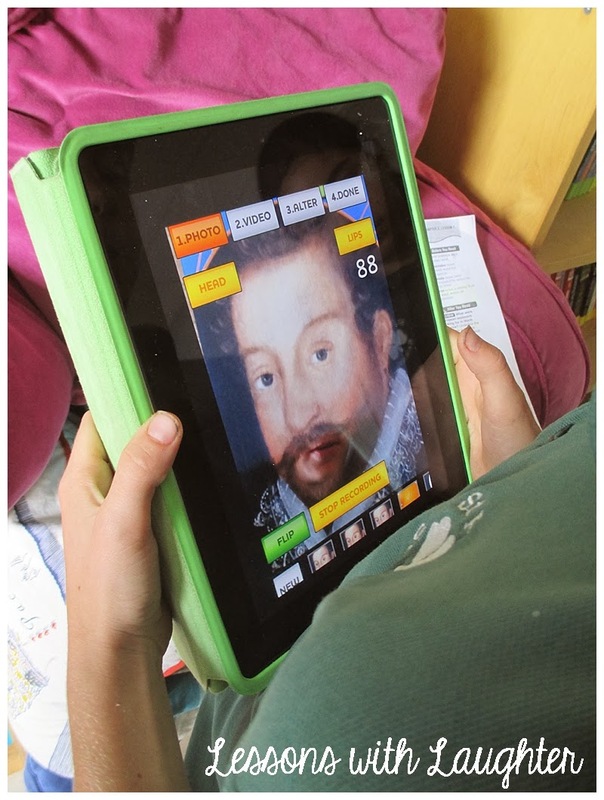 Using the MadLips App to Teach About Explorers! I know posts these days are few and far between, but we have been doing so many wonderful things in the classroom and I am hoping to share them on here over time! 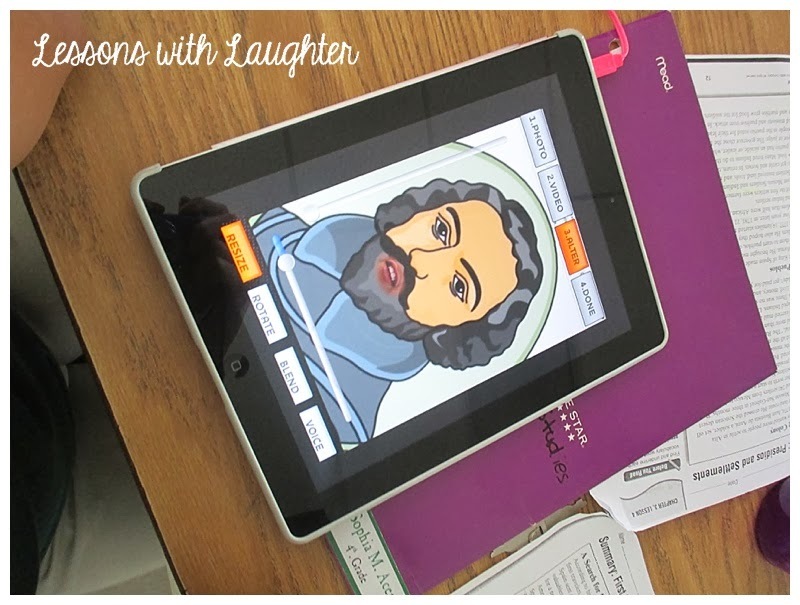 I found out about this app at the San Diego CUE conference this fall. The presenter, Jo-Ann Fox happens to also teach 4th grade, which I love because a lot of the examples that she shared fit in perfectly with what I teach! Basically, what the MadLips app allows you to do is choose a picture and add your lips/voice to it. After starting a timeline for the California explorers, I assigned my students to 5 “expert groups,” each with a different explorer. 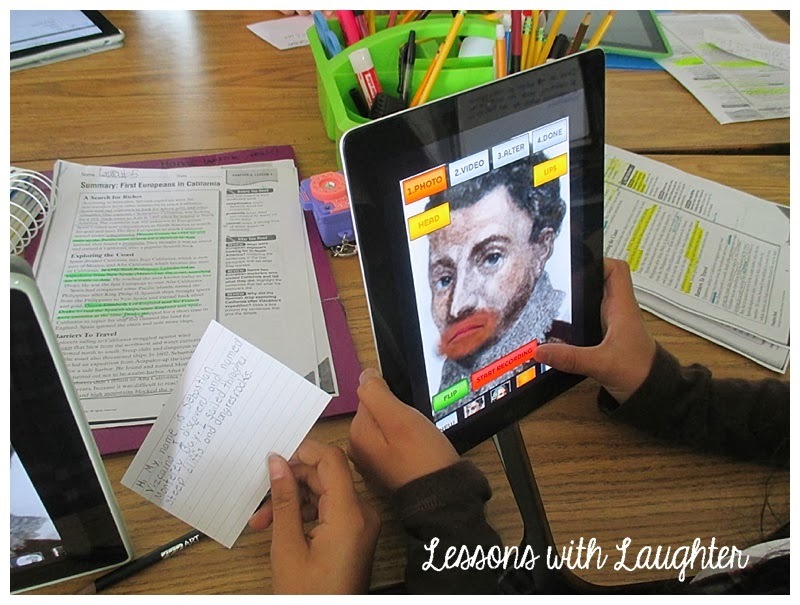 Their task was to review the information that we learned about that explorer, and then individually use the MadLips app to introduce themselves (as the explorer) to the rest of the class. I had my students do a search on Google for pictures of their assigned explorer, then save the image. Now there really aren’t a ton of pictures of each explorer, but usually there was at least one good one that they could choose. Sometimes pictures of other historical people showed up mixed in with pictures of the explorer, but the main part of this task I was concerned about was the voiceover… so it wasn’t too big of a deal! A couple students chose to take a picture from one of the books we had on explorers, which worked fine too! The groups of students really worked well together to become experts on their explorers. Some even wrote on index cards what they were going to say before recording! The next day (when the expert groups had finished their recordings), I rearranged the groups so that each group now had a mix of students who all had different explorers. They shared their videos with their new groups and worked together to complete their timeline with information about each explorer. They all had SO much fun with this assignment and learned a lot about the explorers too! I am so thankful I learned about this app and got to share it with my students! 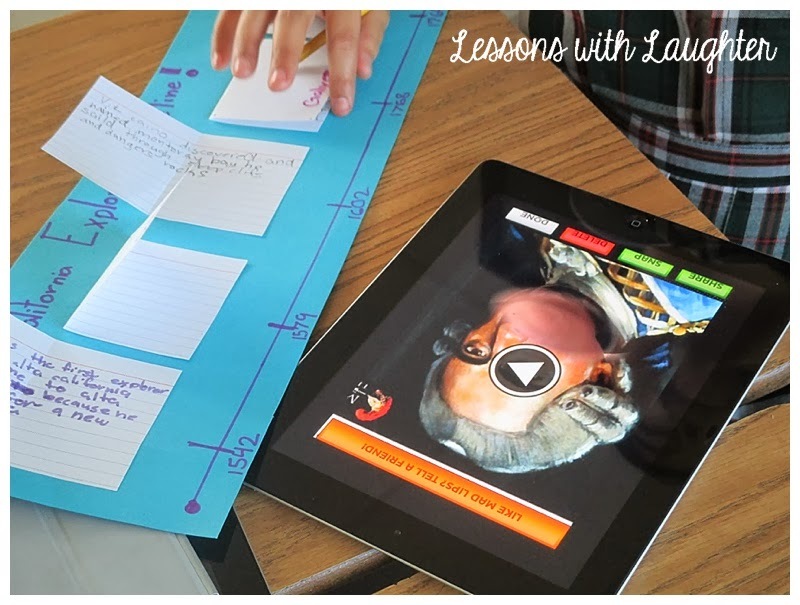 There are so many different ways that you could use this app in your classroom! I’m thinking about using it later in the year to have my students re-tell stories from a character’s point of view! That sounds great, Stacy! You'll have to let me know if you use MadLips! Love MadLips, great lesson!! Have you tried Yakit Kids? It works similarly, maybe with a few more options. Heather, I haven't heard of that before! Going to check it out right now! Thanks for sharing! This is great! I'm sharing the link to this post with the social studies teacher on my grade level team. Would you mind if I linked this up to an iPad linky of mine? I don't always see social studies apps. Hi Christy! Thanks so much!! And I don't mind at all!! 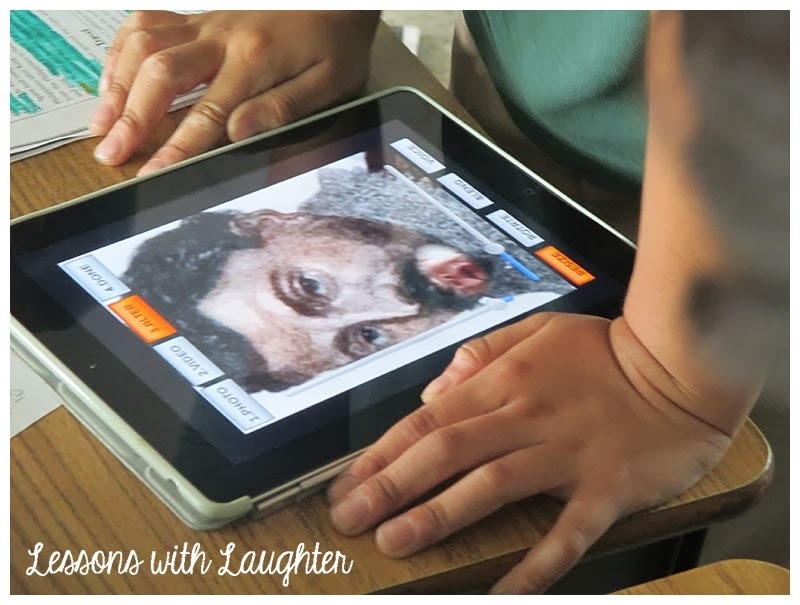 I am always looking for new apps to use with my students! An iPad link sounds like such a great idea! What a great idea! I love anything to do with apps and the iPad! I taught fourth last year and his year I teach third — could work with either grade level. Thanks! Another app you might also enjoy is Voki. The student may use a voice available on the app, or insert their own. Hi Cathy! Yes, I love Voki!! My kids did a project with them speaking from the point of view of one of the characters in a book they were reading! So much fun! For some reason I don't think MadLips is available anymore so Voki and Chatterpix are other great options for doing something similar to this! Which explorers did you study and highlight?